1. Kate I’ve followed you for so long now! Even since before you had Hudson I think. You were one of the first bloggers I reached out to via email to connect with. So tell us, how old are the kids now and what kinds of activities are they loving? Oh Lauren thank you so much! The blogging community certainly are like a family. Many of whom I feel like I know, but have never met face to face (like you!). My Ella just turned 5 last weekend. Five years old! I can’t believe she has grown so much, and this blog – her name sake – is five years old too! Hudson is two and a half. They are such a joy and fill our lives with such happiness. My kids couldn’t be more different if I wanted to them to be. Ella is a quintessential girl who loves ballet, art and craft and anything pink. She is very creative and whilst quite shy at first, shows her true colours within minutes, dancing, twirling and singing as though she is on stage! Huddy is like a hurricane. He is the energiser bunny. He never, ever, ever stops. He loves construction, building things and smashing them down. Trains, trucks and tantrums! That said, we adore them to bits! 2. What is your teaching role this year? You’ve been a Deputy Principal in the past. Do you work full time? I was Deputy Principal / Learning & Teaching leader for 8 years. Last year I stepped back from my Deputy role, simply because I was exhausted. Hudson didn’t sleep through the night until last November. Being Deputy meant that I was carrying a great deal of responsibility, and I wanted to do it well. I loved the role, but given that I work .5 (three days one week, two the other), when I was at home it was hard to say no and not be able to follow things through. So last year I officially stepped back from that role that I shared with my dear colleague and remained Learning & Teaching leader: my real passion. We work as a real team (we actually work together in our Principal’s office) and so I still share those same responsibilities whilst I’m at work. However when I’m at home, I now don’t need to worry as much about everything at school. My Learning & Teaching role involves planning with our teachers to provide our kids with quality learning experiences. I work closely with them to enhance their understanding of engaging and contemporary pedagogy. I also work closely with parents in a variety of ways. 3. 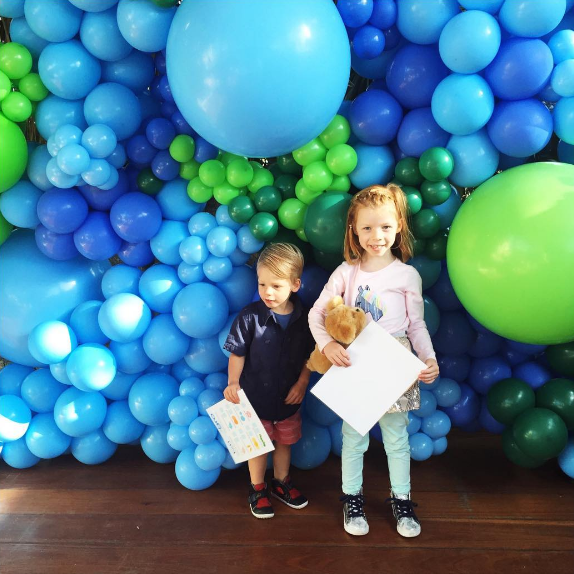 What will readers find at your blog Happy Ella After? My blog started out as my little family diary. A way to document and share our experiences as a growing family. It then evolved into a community where my readership shared experiences and challenges of parenting. 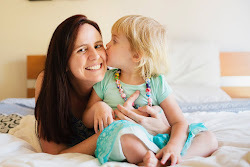 I share it all: the magic, the mayhem, the milestones of Motherhood. I promote small businesses who are run by Mums like me! 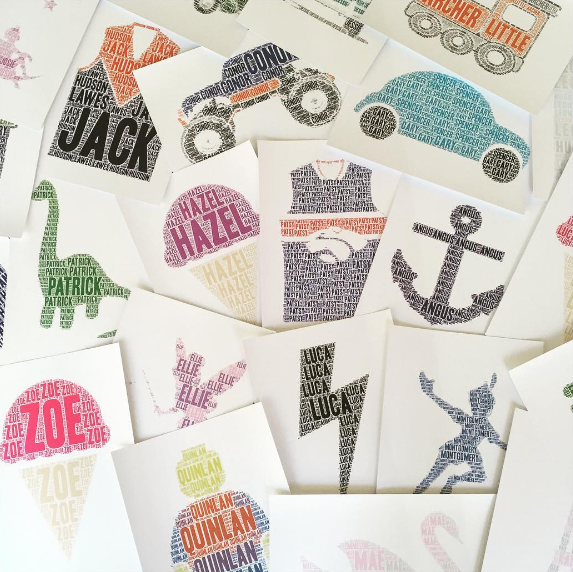 I’ve also developed my own Print Business of the same name – designing and creating NAME IT prints. Personalised, typographic artwork created by using words. There are over 100 designs and this side of my business has really flourished in the last year! 4. How did your Name It print business come about? I was on maternity leave with my second child Hudson. I really struggled being away from work and wanted to use my brain in a creative way. We use a program to help our children visualize their thinking in word clouds, and I thought that I could tweak this idea, by using simple images and symbols (e.g. batman) to create personalized artworks for children. It has been amazing! 5. Do you have a favourite design? What’s really popular and on trend at the moment? I’ve always loved our original : Batman Name It print. For girls - swans, butterflies and rainbows are super popular. For boys – AFL jumpers are flying out the door! Scandi colours and palettes are still definitely on trend. Pastel pinks and greys. For boys a focus on construction: diggers, trucks and cars are super popular too. 6. I ask this question in every interview, but I’m always curious to know how teacher biz mums manage the juggle? The ‘plate spinning’. What does a typical week look like and what are your tips for fitting everything in? Well, sometimes I feel like I’m doing ok, and others I’m a complete mess. I guess the above explains that I had to make a decision at one point: to pull back on my work to put myself and my family first. Last year we lost my Dad really suddenly so this certainly has made me realize that we need to take care of ourselves. Someone once said, you can have everything, just not at the same time. I really feel this is true. You need to be kind to yourself and above else, remember that time with you little ones will only last a few years. We have forever to work. 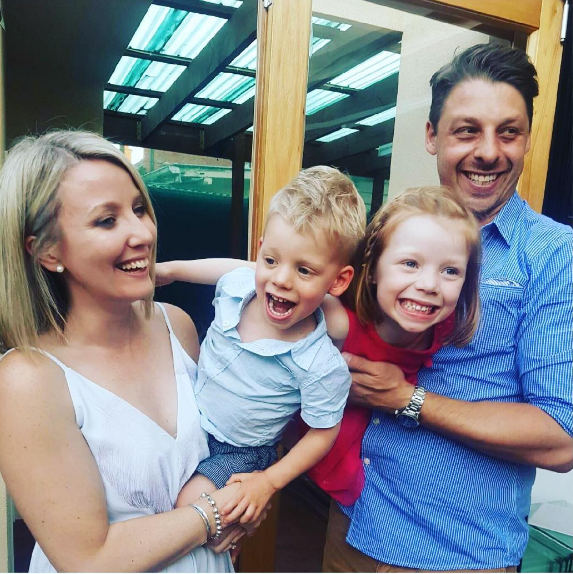 I feel that I am a better Mum for working (this is just how I feel about me, not about every Mum), but having a balance between work and home is always a struggle. Especially in the mornings! 7. Any particular blog advice for new bloggers? My advice would be: write about something you are passionate about. Don’t be fake. Don’t write about things you ‘think’ people want to hear about. Write about things that you feel, treasure and love. As you write, you will find your niche. You will find the point of difference that sets your blog apart from the rest. Don’t force it. But stick with it. Write as much as you can, as often as you can. Create a schedule. Readers like consistency and knowing when they will hear from you. Be honest in your writing. Be yourself. The social media world is not for everyone and you will encounter some backlash from others, some may be close to you. But stick to your heart and follow your dream of writing and sharing your feelings. 8. I’m so deeply sorry to hear that you lost your dad last year. I too lost my mum in 2014 and it was devastating. It’s heartbreaking to raise my children without her in our life. I don’t really have a question here, just wanted to express my sympathy, and glad to hear that you’ve found comfort in writing about it. The hardest time of my life. Our world has truly been rocked. We’ve had to reassess and redefine our lives both as a family and individually. It’s as though our centre of gravity has been pulled out beneath us. I miss my Dad so much. Every minute. Every thought is tinged with the thought that he is not here. However a poem that we read at his funeral brings me comfort. We can cry that he is not here, or smile that he lived. We can wish for everything that could be, or feel glad for everything that he left. He gave me a life beyond my dreams. A life that I can only hope we can give to our children. For me, writing about it has been a sort of therapy. I have also found it has help me connect with others, like yourself, who just know. Who can help you feel as though you are not alone. I’m so grateful for that. 9. On a happier note, what’s great about Melbourne? Ah Melbourne. Melbourne is everything you want. Shopping, parks, city, restaurants. Surf is only an hour away. Country and wineries an hour in the other direction. For my children it is such a blessing to be bringing them up in and around places that brought me such joy as a child. A trip to the Zoo, a play in the park. Melbourne is simply home. 10. Finally can you share some fast favourites? Music: John Farnham – life long fan. Fanatic actually. Colour: I can never answer this question right! In my home I love the simpleness of white. White walls, white linen. Black taps. Pops of mustard throughout my home is my current love! Thank you so much Kate! It's been lovely to follow you for the past few years and nice to re-connect and have a chat about what's been going on. Wishing you continued success in your Name it biz, your blog, school and of course your beautiful family.